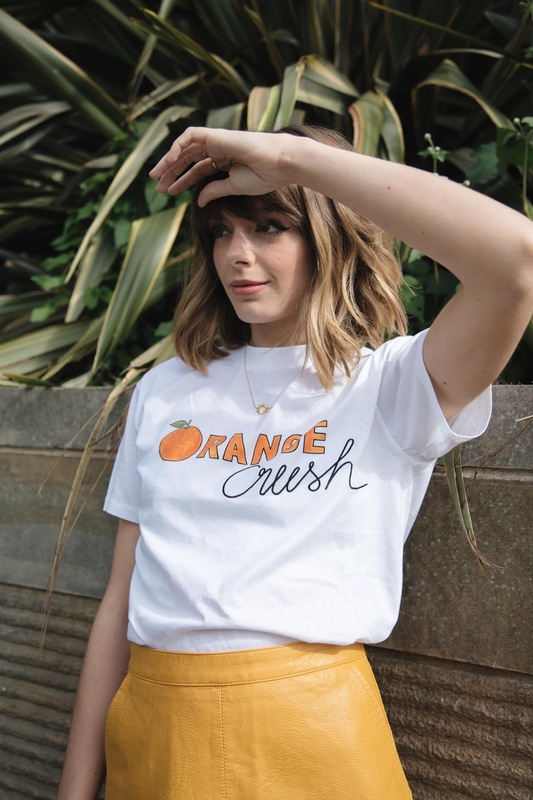 If you've been nosing enough at my Instagram this summer, you'll have noticed there's one colour which keeps popping up on my feed... I say "popping up" literally because it's the one tone certain to make anyone's wardrobe do just that... Pop, pop, pop! It's yellow. And Lord knows how difficult it was for me to NOT call this post "Yellow, is it me your looking for?"... Sorry Lionel! 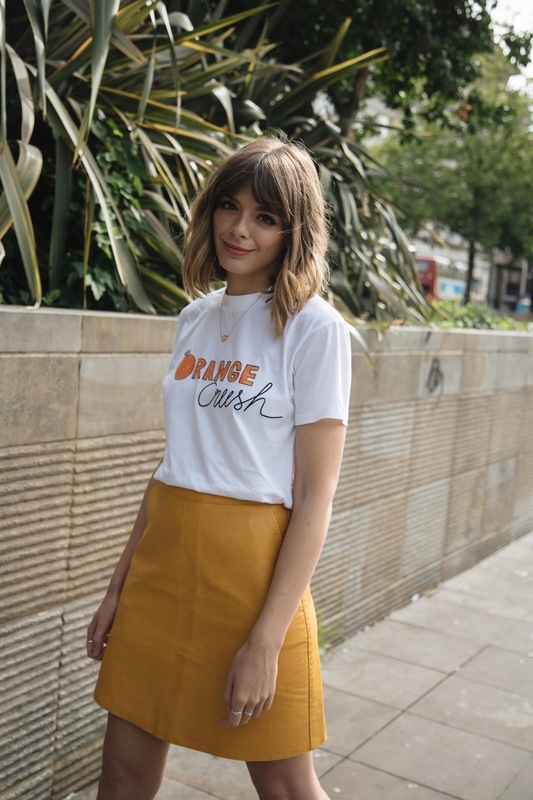 As an ex colourphob, who only just recently converted her wardrobe from neutral tones such as black, cream and navy into every colour under the sun, I know first hand yellow can often seem like the most daunting of all the tones to style. It's often loud, a little brash and the brightest of brights, however I'm hear to tell you yellow is SO much more than that! 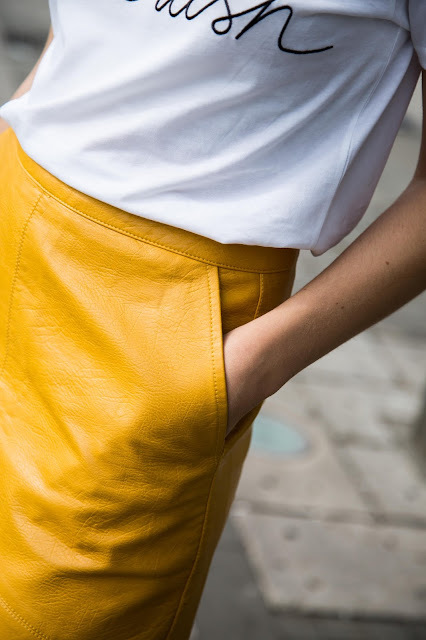 Most obviously, the tones of yellow are the complete opposite to those sherbet shades we see in summer. As we approach winter I've been leaning more towards super vibrant mustards, so rich it almost boarders on burnt orange! Which, FYI is another favourite of mine, so it's a win/win situation. 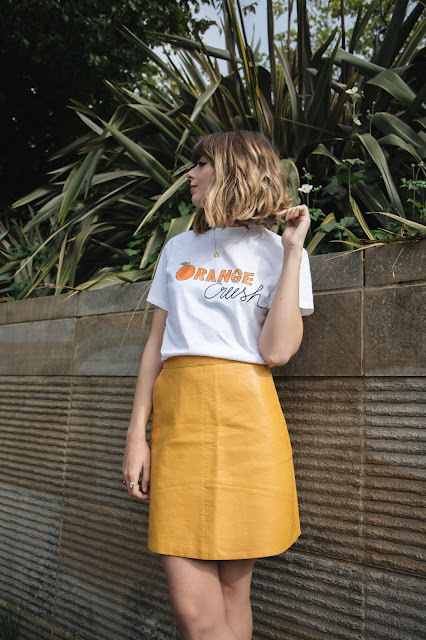 Now for me there's two ways to really style yellow... or if we're being pedantic mustard, for your transitional/autumn wardrobe and both are completely retro inspired. Would you really expect anything less from me? Firstly, I've started teaming my mustards with burgundies, greens and navy for a real autumnal feel... 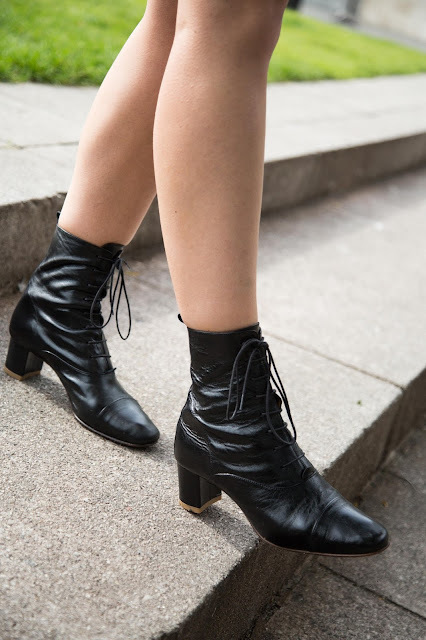 I know it's a little premature for Autumn dressing but the weather truly hasn't been on our side this summer so we might as well embrace it. The best way to get a real mixture of these colours together is via super sixties style paisley prints for a dreamy "Woodstock" kind of vibe. I'm already seeing a lot of this print on the high street. I'd advise heading over to And Other Stories who currently have THE most perfect paisley design used in a blouse, mini and midi style dress! If paisley is a little too fussy and a touch too close to "winter wardrobe" for you I've also been cultivating my collection of retro style stripes ready for my transitional wardrobe. As with paisley, I'm loving the mixture of tones. 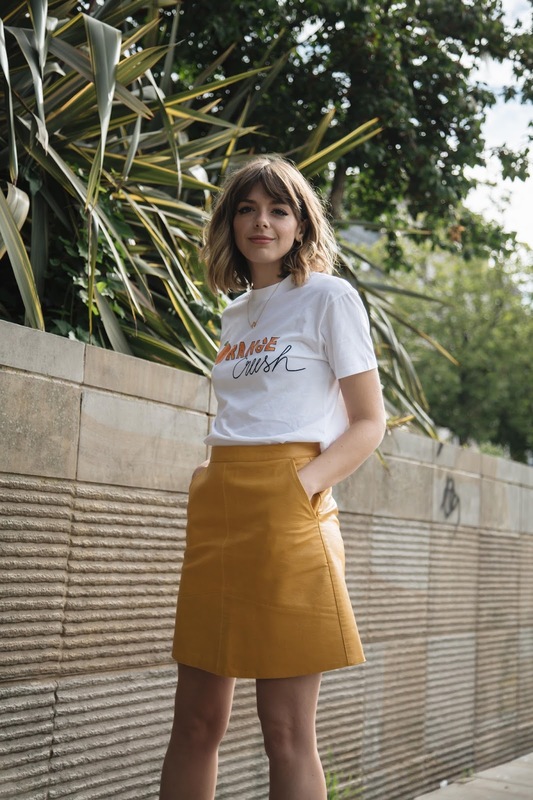 Washed out yellows, reds and oranges seen in vintage style stripes can be worn in summer with stone washed jeans, right through into Autumn with a suede mini skirt or corduroy overalls. Either way you'll be completely smashing that "Almost Famous", "I'm with the band" seventies style! My second styling for mustard is a little more boyish and a little less whimsical than the "California Dreaming'" inspiration of retro stripes and paisley patterns. Think more sixties minimal and team your mustard with bold black graph tees and accessories. I love yellow as a block colour and the NA-KD faux leather skirt photographed in this post is perfect for creating this look. Personally I feel it's a little easier to incorporate into your every day wardrobe than the first, more extreme seventies styling. If a mustard skirt is too much for you, how about a chunky knit? Or blouse? 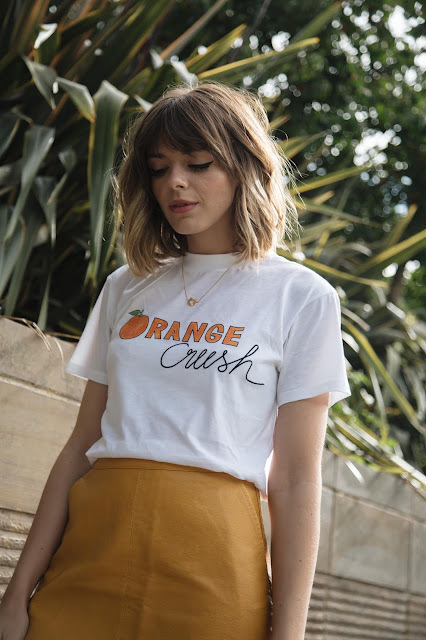 Topshop in particular is really channeling both of these pieces at the moment in Yolk Yellow and it's such an easy, peasy, lemon squeezy way of adding a touch of yellow into any outfit. 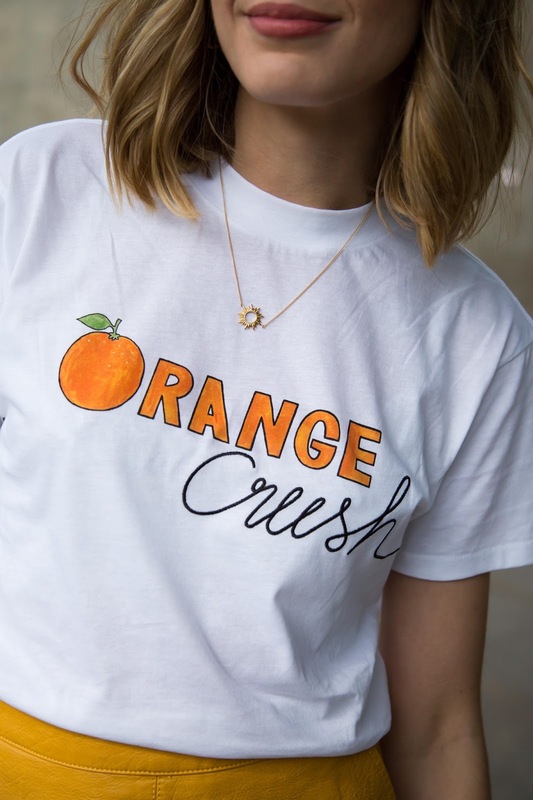 My brand of the moment/year is Ganni who, in my opinion are the Holy Grail of graphic tees. They've been featuring a lot of yellow tones in their designs over the past few months, up until very recently. From croissants and lemons, to Orange juice and hot dogs laden with mustard... 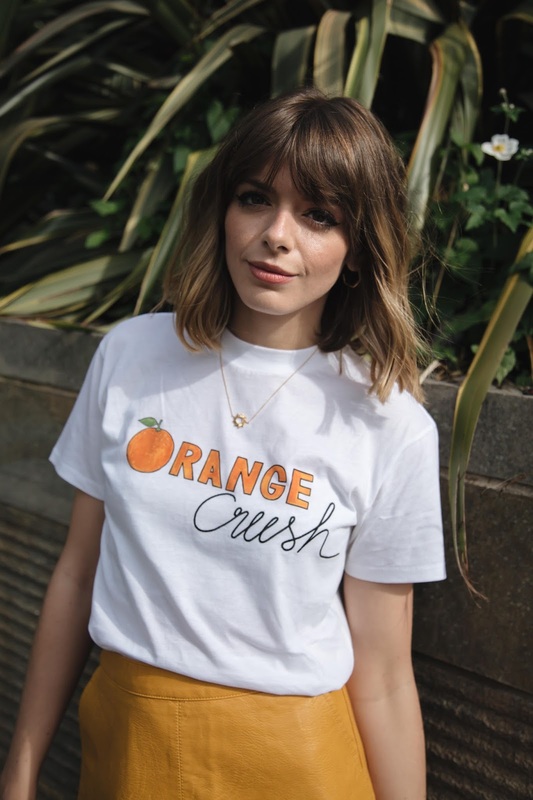 If you're a lover of food they probably have the T-shirt for you and with only a touch of colour, they're a happy compromise into adding just the teeniest touch of yellow into your outfit! Thank you to Mini Mansions/Alex Turner for the perfect title. And Rosie Butcher for the perfect photography.